School buses wait outside Arsenal Elementary School in Lawrenceville on Thursday, Jan. 25, 2018. Pittsburgh Public Schools administrators and the Pittsburgh Federation of Teachers are currently in the middle of a contract dispute. Two main issues are keeping the Pittsburgh Public Schools district from settling a contract dispute with the union representing its teachers, according to PPS administrators. 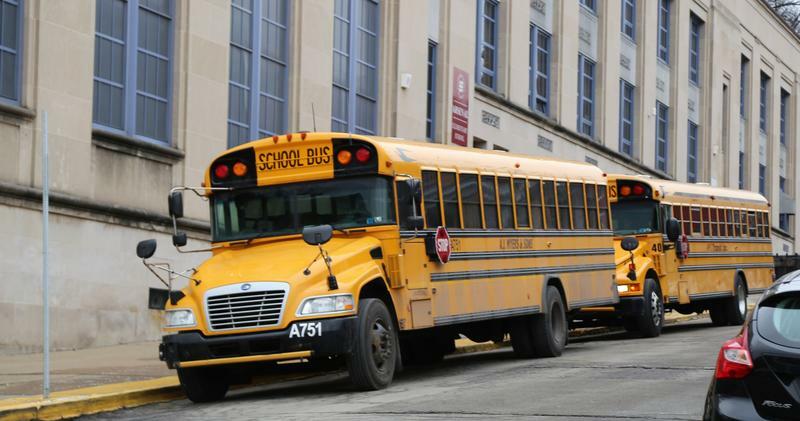 Monday, members of the Pittsburgh Federation of Teachers authorized the union to call a strike if needed, but that doesn’t necessarily mean teachers will walk out. Further negotiations are scheduled for Friday after the union’s executive committee meets Thursday. It would have to agree to strike and give the district 48 hours notice. PFT President Nina Esposito-Visgitis said the vote was not taken lightly and that she wants to avoid a strike. “This clearly is a demonstration that our members feel strongly about the items that we are still negotiating and want a contract that is good for students and fair to educators,” she said in a statement Monday. School board president Regina Holley said she is hopeful a strike can be avoided. She said disagreements at this point are not about money, but rather class scheduling and a teacher transfer process. The district said a loophole has led to a, “revolving door,” of teachers leaving some of the district’s most needy schools. Currently, if a new teacher is hired after Aug. 1, when principals are asked to have staffing finalized, the district said the system considers the job vacant and posts the position. A teacher in another school is then allowed to transfer to that position. Last year, the district said nearly 100 teachers moved as a result, with a majority leaving schools, where the "need is highest." According to the district, the staff turnover is nearly 30 percent in schools with poverty rates as high as 90 percent. “When we see in some of our schools that have the most challenging students and challenging neighborhoods, where people just get up and leave at will, we have to make a stop to that,” Holley said. School leaders want that process to take place every three years rather than annually, and to eliminate what it refers to as the "Aug. 1 rule," saying it creates a disruption for students who need stability. According to the fact-finders report, the PFT does not dispute that the practice is disruptive, but it attributes staffing issues to mismanagement. The union opposes the district’s proposal to reduce those transfers. Additionally, the union disagrees with the district’s move to give school principals more authority in determining teaching assignments. Teachers now, according to the district, have the power to override scheduling and teaching assignment decisions. They're able to choose which subjects and grades they want to teach. The district wants language in the contract that would give principals the final authority to assign teacher schedules within the district. After the report was approved by the board in November, PPS Superintendent Anthony Hamlet said the move would hold principals accountable. “They have to be more than just building managers. But to do that, they must have reasonable, practical management tools necessary to lead,” he said. “Teacher scheduling preference is one of the few remaining areas where our teachers have influence and input into their professional lives,” the PFT stated in its response to the report. The PFT and the district’s bargaining group – made up of board members, the district’s solicitor and a former human resources staff member who retired last year – have been negotiating for more than a year and a half. A five year agreement expired in 2015. That contract was extended to June 2017 when the Pennsylvania Labor Relations Board appointed a fact finder to meet with both sides. The fact finder’s report was released in October. The school board approved the recommendations in November. The next day, the PFT rejected it. Pittsburgh education advocacy group A Plus Schools is coordinating organizations that could care for children in the event of a teacher strike. They've distributed forms for caregivers and volunteers, asking what would be needed and who could help. PPS serves 24,000 students. Holley said the district is also working on a plan to ensure students have access to breakfast and lunch at satellite locations if schools close. She said Hamlet has been adamant that high school seniors will still attend classes so they can graduate on time. Pennsylvania Gov. 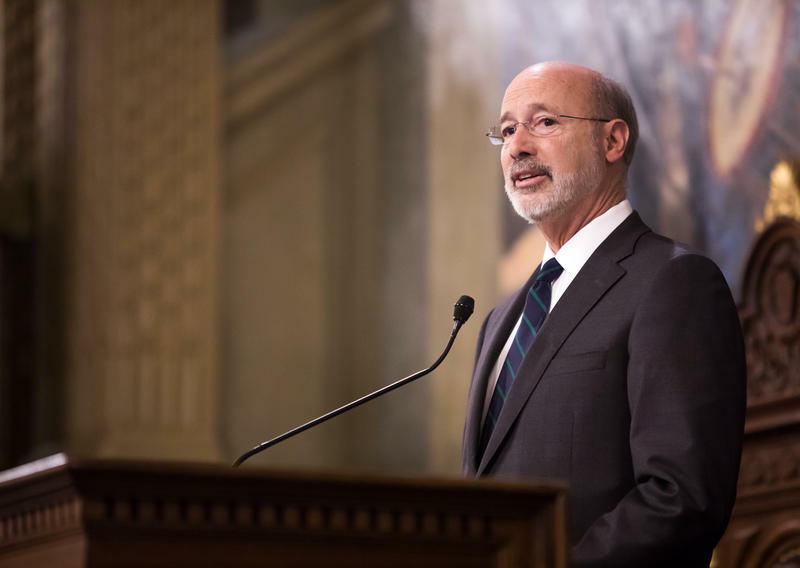 Tom Wolf is promising he'll send a politically impartial congressional district map to the state Supreme Court by its Thursday deadline if the Republican-controlled legislature cannot draw one themselves.